Crypts & Things is one of those games that has been sitting in my "to be read" pile forever. It is an Old School game built off of Swords & Wizardry.... Newt Newport is raising funds for Crypts and Things Remastered on Kickstarter! A Swords & Sorcery Tabletop Roleplaying Game from the British Old School. And so a lone gunman went to work finishing what /tg/ started. modifying and adding to the /tg/ pdf has been done. The game is finally playable. As much as /tg/ had a decent start everything has been modified and expanded to make it playable. 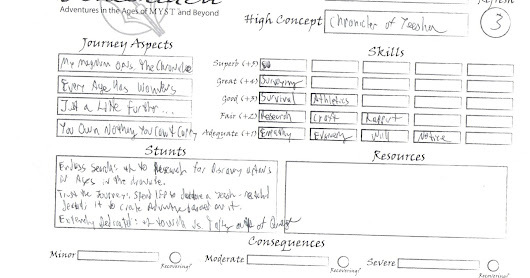 A decent character creation and a character sheet has been made. Pictures for your viewing pleasure have been added too.